PA negotiator: Israel refuses to recognize Judea, Samaria as Palestinian state - why should we recognize a Jewish state? 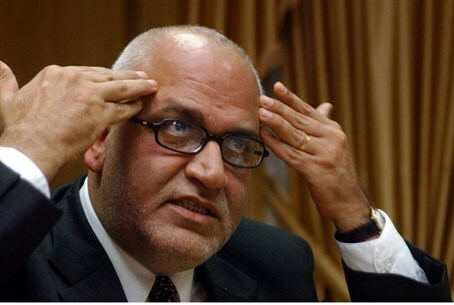 Palestinian Authority (PA) negotiator Saeb Erekat slammed the Israeli government Monday, just one day before the PA is due to meet with US envoy to the Middle East Martin Indyk. Erekat insists that the PA's refusal to recognize a Jewish state stems from the fact that Israel maintains control over Judea and Samaria. "We recognize the State of Israel, but we have not heard Israel recognize the state of Palestine within the 1967 borders," Erekat claimed. "This is the government which undermines the efforts of the American Foreign Minister [sic] John Kerry and the efforts of the peace process." On the upcoming meeting, Erekat noted that nothing is set in stone. "[PA Chairman Mahmoud] Abbas will meet with Indyk and that we will complete our discussions on the core issues with the Americans, so that we can a comprehensive peace agreement," he stated. "The Palestinian side has made ​clear to the US its positions on Jerusalem borders, settlements, right of return of Palestinian refugees, security and the release of prisoners." "So far, no official papers have been presented from Kerry to the Palestinian side," he added. Last Wednesday, Thomas Friedman of the New York Times published some details of Kerry’s plan which, he said, will call for a phased Israeli withdrawal from Judea and Samaria based on the 1949 lines, with "unprecedented" security arrangements in the strategic Jordan Valley. Jewish leaders later revealed that mutual recognition is another factor of the plan - with Israel recognizing a Palestinian state and the Palestinian Authority (PA) being forced to recognize Israel as the Jewish homeland - a condition the PA has already publicly refused to accept. Erekat's remarks differ somewhat from Abbas, who unconditionally reiterated the refusal again Sunday, stating that recognizing a Jewish state would be "out of the question." In addition, Abbas - unlike Erekat - does not support for the Kerry framework. “He has the right to do whatever he wants, and at the end we have the right to say whatever we want," Abbas insisted Sunday.